None of them have a single tooth — and they're perfect. 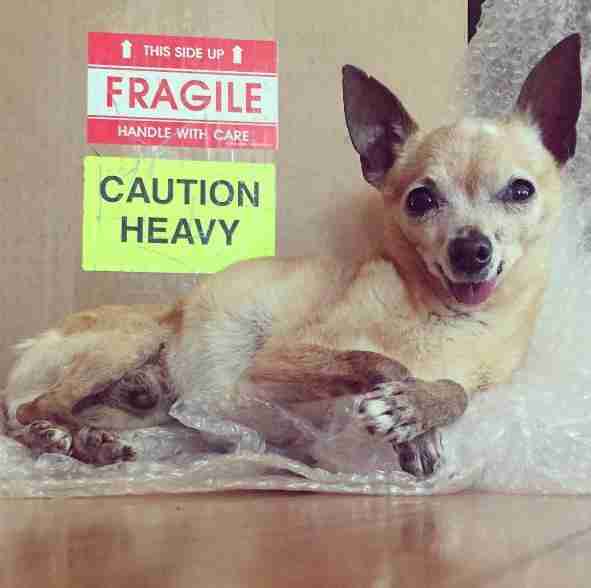 When one woman adopted a senior Chihuahua five years ago, she had no idea the chain reaction that decision would create. 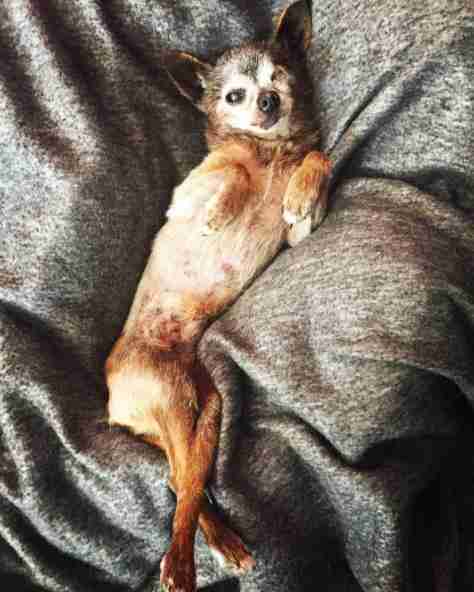 MoMo the senior Chihuahua was rescued when he was around 11 years old from Tiny Loving Canines Rescue in California. He was surrendered to a high-kill shelter by his former owner in a horrendous condition, and yet he still loves people more than anything. His new mom, Julie Docherty, fell in love with him the second she met him, and he helped her realize how rewarding it is to adopt a senior dog. 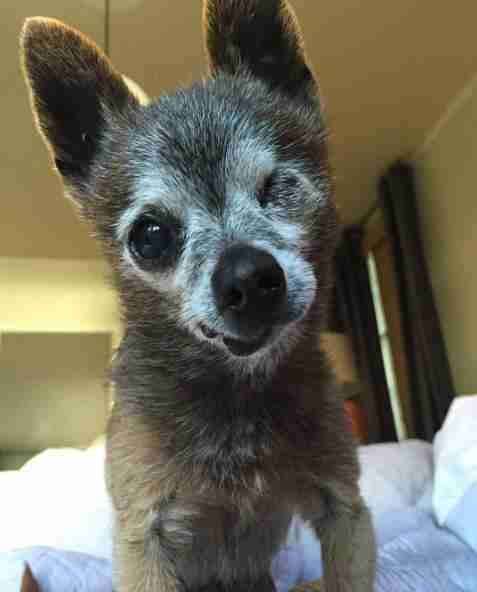 "My first senior adoption was a happy accident," Docherty told The Dodo. 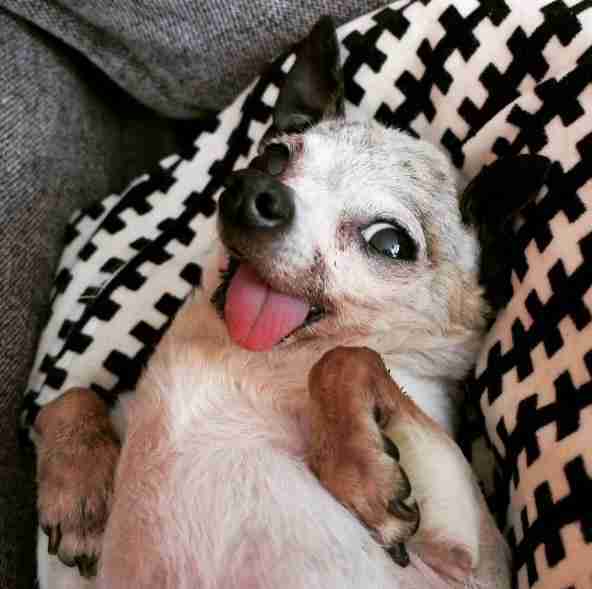 "I discovered MoMo, fell in love with him, and we bonded over his rehabilitation and care. I came to realize then how heartbreakingly overlooked this large category of shelter dogs are, and how ideal senior adoption was for me." 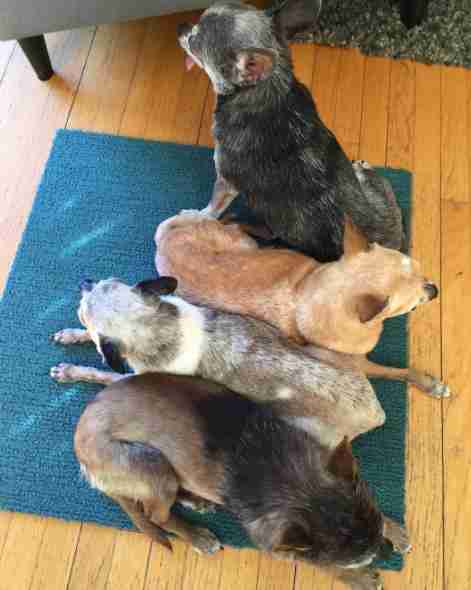 Over the next several years, Choli Churro, Paloma Linda and Benito (also known as RL) all joined the little family, two also from Tiny Loving Canines Rescue and one from Animal Synergy. 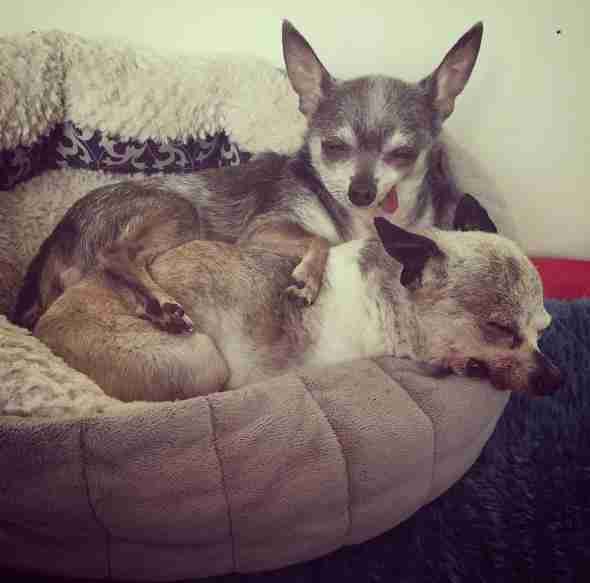 Docherty also adopted a senior Chihuahua named Lalo Flan six months after Choli, but he sadly passed away from cancer after two and a half years. 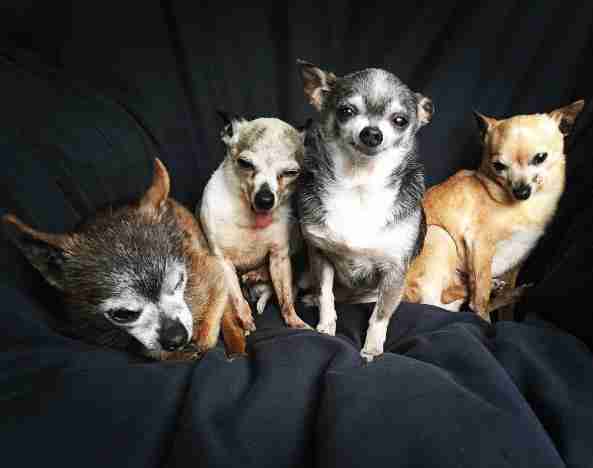 All of the Chihuahuas came from a past of not being loved as much as they should have been, but now they have each other, and have formed the absolute cutest little squad. 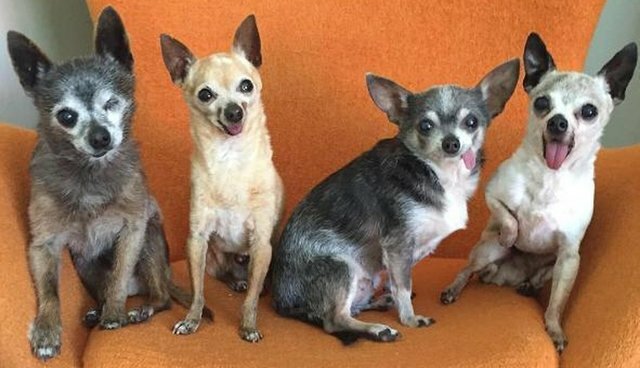 They may be seniors, but all of these Chihuahuas have their own distinct, feisty personalities, and they're not at all afraid to show them off. Each of them has their own role in the group. ... and Benito is the laid-back, easygoing one. "Each is so unique, but equally entertaining," Docherty said. 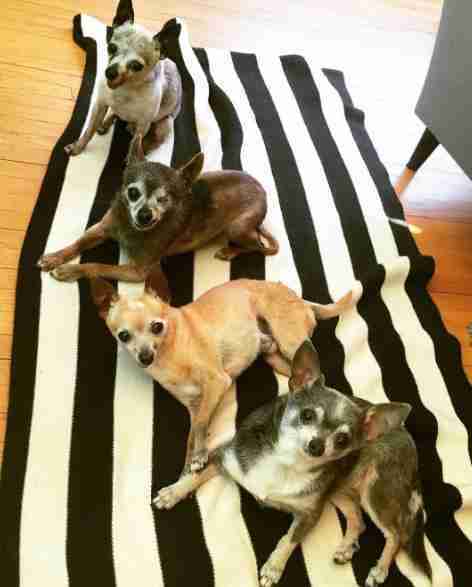 The Chihuahuas spend their days hanging out together and get along wonderfully - most of the time. "Paloma and Benito are the closest," Docherty said. "Mo tends to like his space. Choli will invite himself flop next to anyone. 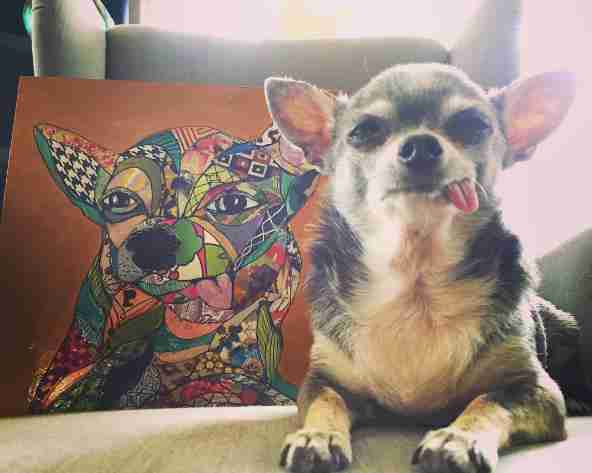 He especially enjoys tormenting Benito." 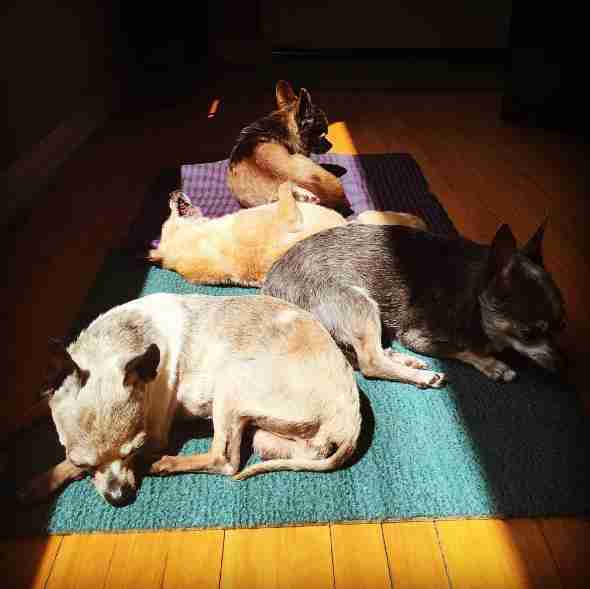 The group's collective favorite activity is sunbathing, with eating coming in as a close second. Not a single one of them has any teeth left, but they still handle mealtime like champions. 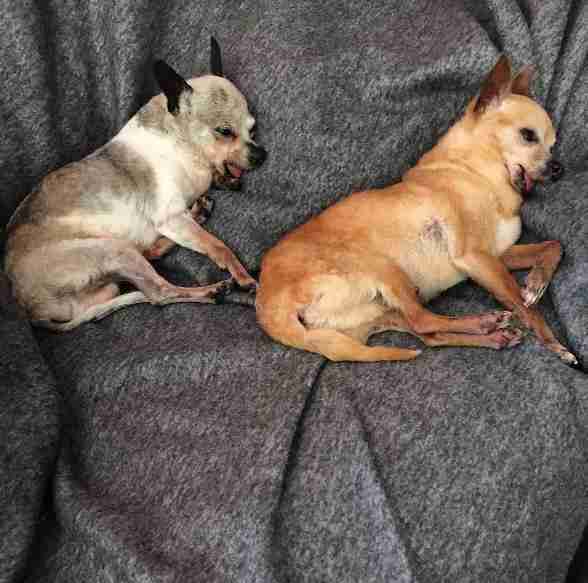 Due to their senior status, all of the dogs have various health issues, including dental disease, arthritis and congestive heart failure. There are definitely challenges that come with senior adoption - but they pale in comparison to all of the rewards. "Things are pretty calm with these four," Docherty said. "No hyper, chewing, puppy energy. No need for long walks. With senior pups you never have to nap alone. They sleep. A lot. And have an enormous capacity for love, with an attitude of gratitude." 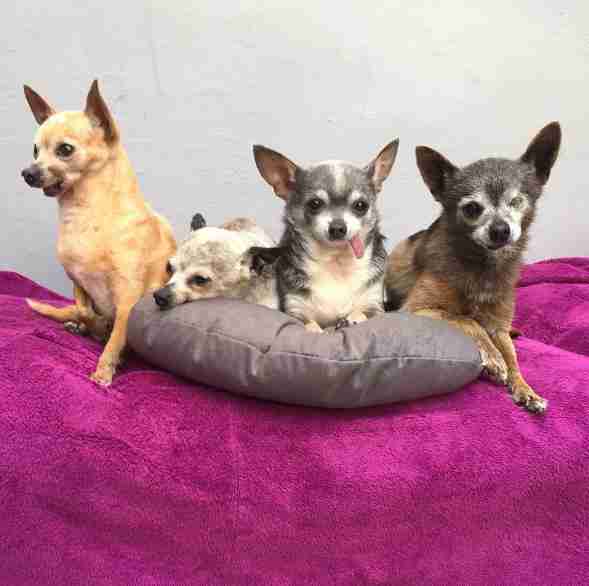 MoMo, Choli, Paloma and Benito found each other a bit late in life, but now they're the best of friends, and are enjoying every moment of the time they have left together. "We don't know how long we have together, but each day we share we see as a gift," Docherty said. You can follow this adorable squad and all their adventures on their Instagram account.